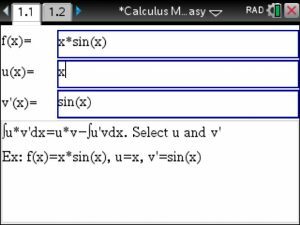 Integration by Parts with steps is easily done using Calculus Made Easy (download : www.tinspireapps.com ) under the Integration tab. Enter your function as f(x) and your choices of u and v’ below. Answer appears automatically with steps involved. 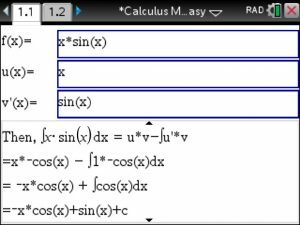 Steps for Integration and Differentiation and all other Calculus topics are included in the Calculus Made Easy app.